According to The Guiness Book of Records, The Beatles have sold more than 100 million albums in the U.S. alone. With those kind of staggering numbers, its no surprise that millions of Beatles fans are collecting Beatles stuff still today. 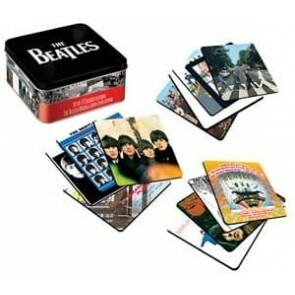 If you are looking for some unique Beatles Merchandise or special Beatles Gifts, we have many Beatles items to choose from, that includes hard to find Beatles collectibles such as: Beatles Shirts, Beatles Mouse Pads, Beatles Lamps, Beatles Tin Totes, Beatles Snowglobes, Beatles Coffee Mugs and much more!